Christopher Stapleton is an American singer, songwriter, and guitarist. Check out this biography to know about his birthday, childhood, family life, achievements and fun facts about him. Christopher Alvin Stapleton is an American singer, songwriter, and guitarist who wrote numerous hit songs for many country, rock, and pop musicians prior to coming into the limelight himself with his own album. A native of Kentucky, he moved to Nashville to become a songwriter and landed a publishing deal within four days. In addition to song writing, he led the bluegrass group SteelDrivers for two years and formed the Jompson Brothers rock group. Over 150 of his songs have been included in albums by different artists like Adele, Luke Bryan, and Tim McGraw. He has also co-written six number one country songs till date. He is well known for his wide range of musical styles, which include country music, Southern rock, and bluegrass. 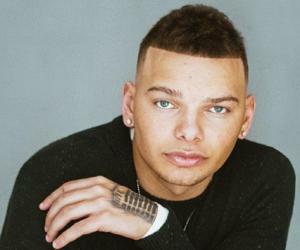 He became a major star in 2015 with the release of his debut solo album, which was eventually certified platinum. That year, he won the Album of the Year, Male Vocalist of the Year, and New Artist of the Year awards, making him the first artist ever to win all the three awards at the Country Music Association (CMA) Awards. He followed up the success of his debut album with his second album, which also won the CMA award for Album of the Year. He has also won five Grammy Awards so far. Stapleton is married to singer and songwriter Morgane Hayes, his ultimate duet partner. Christopher Alvin Stapleton was born on April 15, 1978, in Lexington, Kentucky. His father, Herbert Joseph Stapleton, Jr. was a coal miner, and his mother, Carol J. Stapleton, worked at the local health department. Christopher grew up in a small town called Staffordsville with his elder brother, Herbert Joseph III, and a younger sister, Melanie Brooke. He graduated from Johnson Central High School. He went to Vanderbilt University to study engineering, but dropped out after a year. Christopher Stapleton moved to Nashville, Tennessee in 2001 to become a songwriter. Within four days of reaching Nashville, he signed a contract with Sea Gayle Music publishing house. Over the next decade, he wrote an impressive number of hit songs for many renowned musicians like Kenny Chesney, George Strait, Luke Bryan, and Thomas Rhett. He co-wrote several country songs, many of which not only reached the number one spot on the charts, but also stayed at the top for weeks. These include ‘Never Wanted Nothing More’ recorded by Kenny Chesney, ‘Come Back Song’ recorded by Darius Rucker, ‘Love's Gonna Make It Alright’ recorded by George Strait, and ‘Drink a Beer’ recorded by Luke Bryan. In 2008, he became the frontman of The Steeldrivers, a bluegrass group. The band has recorded four albums and one independent live album. It had two hit records to its credit while Stapleton headed it, and both peaked at number 2 on the bluegrass chart. The band had also earned three Grammy nominations. Stapleton left The Steeldrivers in 2010, and in the same year, he founded a rock band called The Jompson Brothers, with himself serving as a vocalist and guitarist. The band toured southeastern US till 2013, and once performed the opening act for the Zac Brown Band. It also released a self-titled album independently in November 2010. Country singer Jason Aldean used the band’s song, ‘Secret Weapon’ at his live shows. In 2013, Stapleton signed to Mercury Nashville to pursue a solo career. Released in October 2013, his first single, ‘What Are You Listening To?’ did not do well. The single had been recorded earlier but not released. Many of the songs written by Stapleton have been included on the soundtracks of popular movies like ‘Valentine's Day’, ‘Alvin and the Chipmunks: The Road Chip’, and ‘Hell or High Water’. He also sang duets with his wife Morgane which include the Don Williams song, ‘Amanda’ in 2013. In 2015, they performed together on National Public Radio’s ‘Tiny Desk Concert’. After the failure of the single, ‘What Are You Listening To?,’ he started recording ‘Traveller’, his solo debut album, and co-produced it with Dave Cobb. The album was released on May 5, 2015. On the album, he played the guitar with a live band that included his wife Morgane, who sang the harmonies. 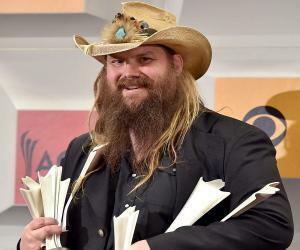 At the Country Music Association Awards 2015, he won three awards for the album—Album of the Year, Male Vocalist of the Year, and New Artist of the Year. In 2016, Stapleton and his wife sang a track ‘You Are My Sunshine’ for producer Dave Cobb's record project, ‘Southern Family’. He also contributed a duet with Jake Owen, ‘If He Ain't Gonna Love You’ on Owen's album ‘American Love’. Also in 2016, he performed live at the Country to Country festival in Europe along with Kacey Musgraves, Andrew Combs, and Eric Church. He also appeared as a guest on a ‘Saturday Night Live’ episode and performed ‘Parachute’ and ‘Nobody to Blame’ from ‘Traveller’. He co-wrote the song ‘Either Way’ with Kendall Marvel and Tim James, and performed it at a Country Radio Hall of Fame event. He spent a good part of 2016 working on his second album with his wife and Dave Cobb. Morgane chose most of the songs for the album ‘From a Room: Volume 1’ from Stapleton’s numerous unreleased singles. The album was released on May 5, 2017, and was certified gold. It bagged the CMA award for Album of the Year. On December 1, 2017, his next studio album, ‘From A Room: Volume 2’, was released. 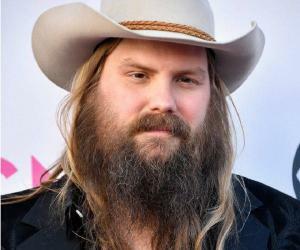 The album, which he co-produced with Dave Cobb, was appreciated for having a wide range of musical styles including country, Southern rock, and Southern soul. While the track ‘Millionaire’ is a soul-influenced rock ballad, ‘Hard Livin' is a Southern rock track. The album debuted at number two on the US Billboard 200. In 2017, the English singer Sir Elton John requested Stapleton to record ‘I Want Love’ for one of his albums, ‘Restoration: Reimagining the Songs of Elton John and Bernie Taupin’. In May 2017, he embarked on the All-American Road Show Tour to promote his second and third studio albums. So far, the tour has taken him to Alpharetta and Georgia among other places and will end on November 4, 2018, in Baltimore, Maryland. Christopher Stapleton’s debut album ‘Traveller’ was a smashing hit and was critically acclaimed. 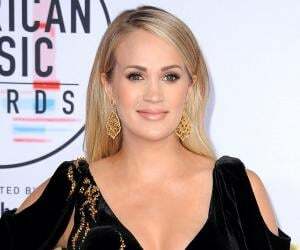 It was certified triple platinum and earned him several awards and nominations, including a Grammy Award for Best Country Album and a Grammy nomination for Album of the Year. Stapleton and Justin Timberlake performed the single ‘Traveller’ at the Country Music Association Awards 2015, following which the single reached number one on the US Billboard 200 chart. His second album ‘From A Room: Volume 1’ was also a big hit. It was co-produced by him and Dave Cobb, and was released through Mercury Nashville. It became the best-selling country album of the year. The album primarily features country, blues, and roots rock music. It debuted at number two on the US Billboard 200, number one on the Canadian Albums Chart, and topped the US Country Albums chart, staying at the top for several weeks. Christopher Stapleton is married to singer and songwriter Morgane Stapleton who often collaborates with him. She has worked with Arista Nashville record company and co-wrote Carrie Underwood’s hit song ‘Don’t Forget to Remember Me’. Stapleton first met her when both were working at publishing houses adjascent to each other. They have four children, including twin boys. The family lives in Nashville. According to the Nielsen 2018 Mid-Year Report, Stapleton is among the top country earners in 2018.